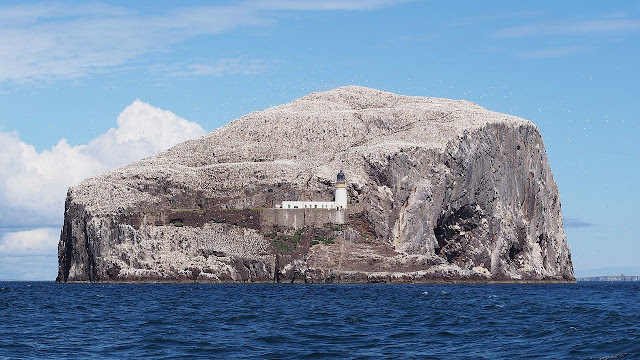 Bass Rock is a tiny island formed from a plug of volcanic rock in the Firth of Forth, Scotland. It contains the world’s largest colony of Northern gannets, one of the biggest seabirds in the North Atlantic. So why isn't it called Gannet Rock? 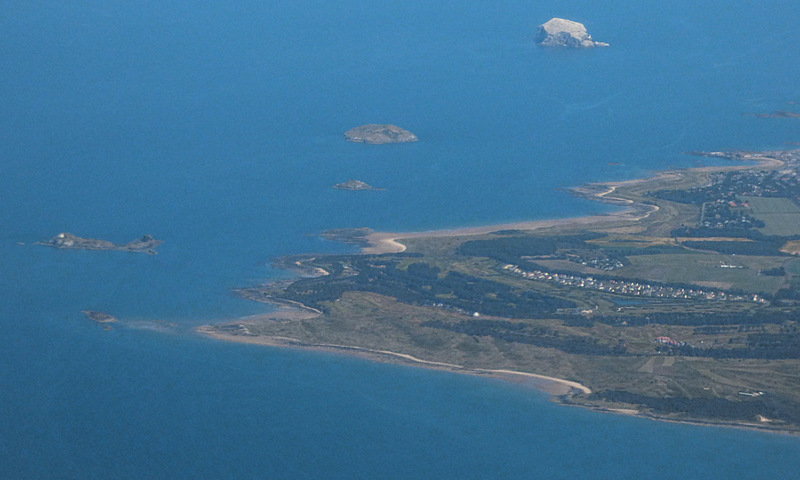 Bass Rock (top) off the Scottish coast. Tantallon Castle, with the Bass in the background, and gannets hovering above it. One day it will be a guano mine. It must be a booger bringing in the groceries every week.